Everyone who knows me remotely knows that i love the Gap. 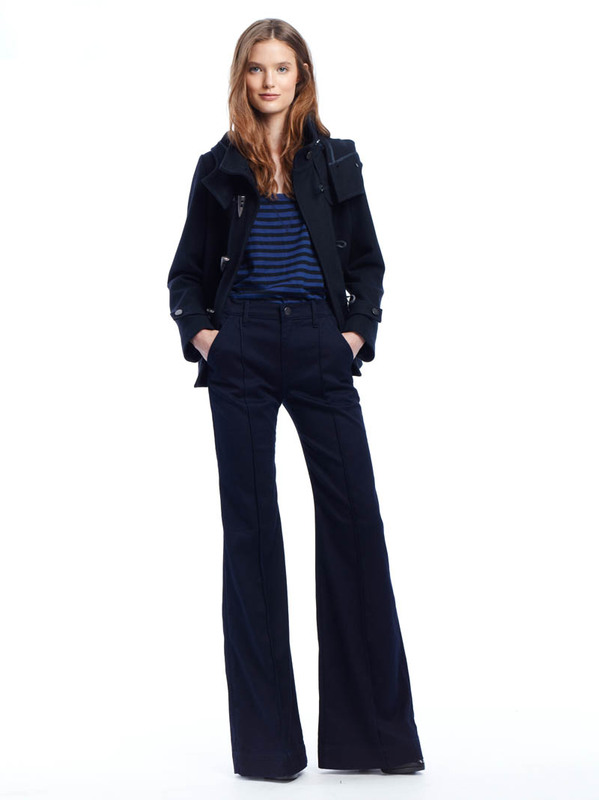 This look from their fall look book embodies what i'm all about: simplicity, effortlessness, casual & chic. For whatever reason, the Gap is the only place that has denim that looks decent on me. I admittedly don't have the best body for jeans (or pants in general for that matter), but the Gap is just great...the quality's there, they're affordable, still fashion-forward. These trousers in particular are amazing and I've been so desperately seeking a pair of flares like this...may have to stop by today! Thanks for sharing this love!